Irish Potatoes. Chocolate Store, the online candy store with chocolate and candy. 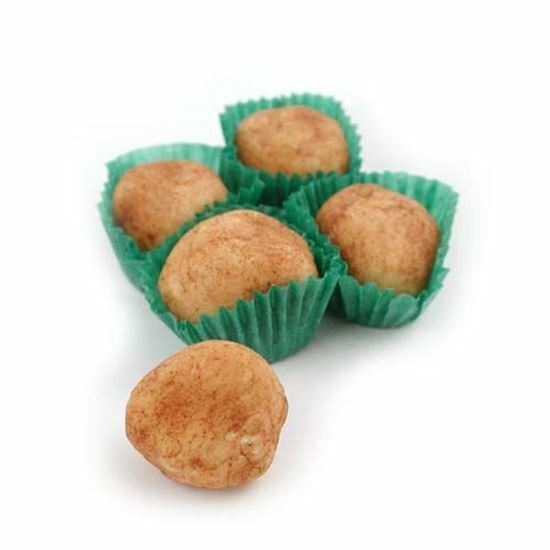 Irish Potatoes - Cinnamon Potatoes - You can’t guess what this is! A Philly (Philadelphia) tradition for St Patrick’s Day. Sweet, smooth, coconut cream rolled into a potato shape, and then rolled in cinnamon. Yummy! Bet you can’t eat just one. 1 lb. These are not the little hard hockey pucks you get with the store bought ones. Typically only available mid January till about April.